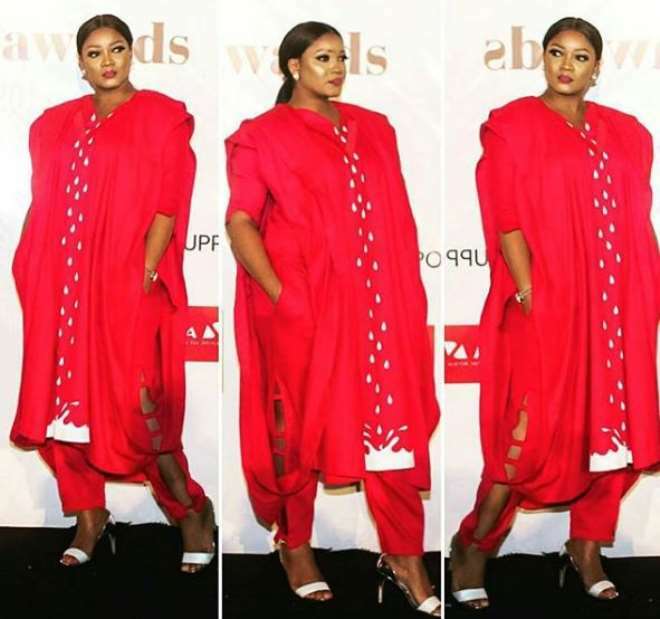 Nollywood actress, Omotola Jalade, nearly broke the internet recently when she stepped out in an Agbada outfit. It was a day for the organizers of the Future Awards and the actress was part of top guests that were present at the hall which was an evening of fun and encouragement. She stole the show when she walked into the hall in her nicely designed Agbada which had gotten many talking. Some weeks ago, it was on-air-personality, Ebuka, which took over the blogosphere with his Agbada outfit during the Banky W’s wedding, now the actress decided to have her designer make a lovely outfit with material to see how it goes on her.